3200sf shop space with 15ft tall ceilings and 14ft tall door on each end of building. Fully fenced in 4.40 acres with electronic remote gate. Cul-da-sac location. 700sf office space built in 2015. Office has 3 large offices and a reception area near side door that faces Delano. Landscaped with irrigation system. Gas heat in shop with 8-10inches of concrete floors 3 sided covered building approximately 40x30 for materials storage. 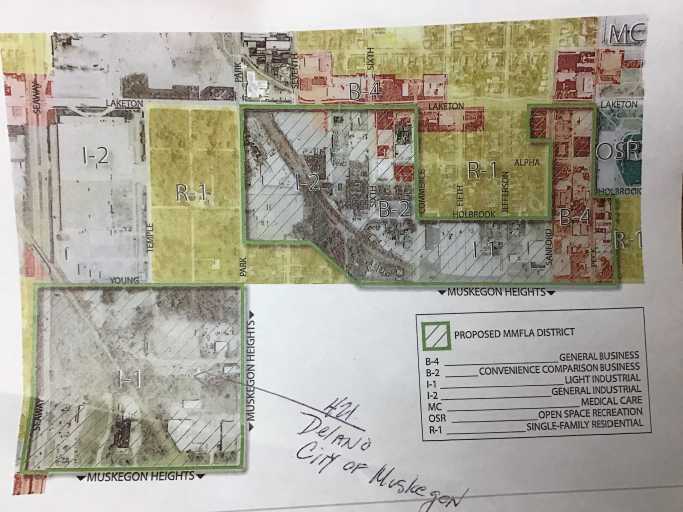 Located in the city of Muskegon industrial park zoned MMFLA.